I’m pleased to report that the old-books shelf in my personal library is now double stacked. My mom has autumn cleaning fever, so I’ve inherited more books! It’s extra exciting, because these are old books. 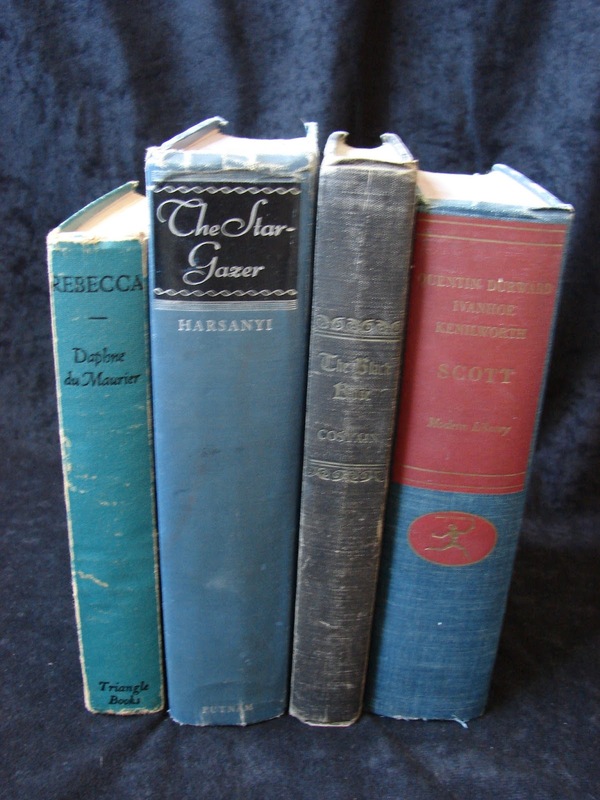 Rebecca belonged to my grandmother, and the other three were my great-grandfather’s in Mexico. I guess keeping a personal library has always been a byproduct of my obsession with books. 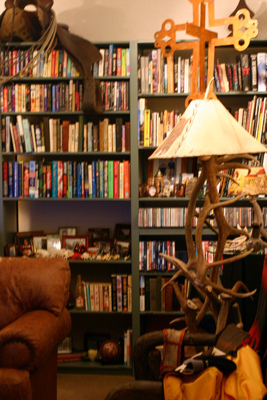 Not to mention that my only motivation in interior decorating is finding more ways to store, display, and curl up with books. Ok, maybe not the antlers. But little did I think when I started collecting books that one day they might be a novelty. Before there were museums, people used to keep “curiosity cabinets” in their homes. I saw one in Prague, containing things like model ships, coats of chain mail, and petrified sharks. Except that mine will be full of books. This week I read a blog post (thanks for forwarding, Michael) by Seth Godin predicting 7 things that will be lost as our society transitions from paper to electronic books. 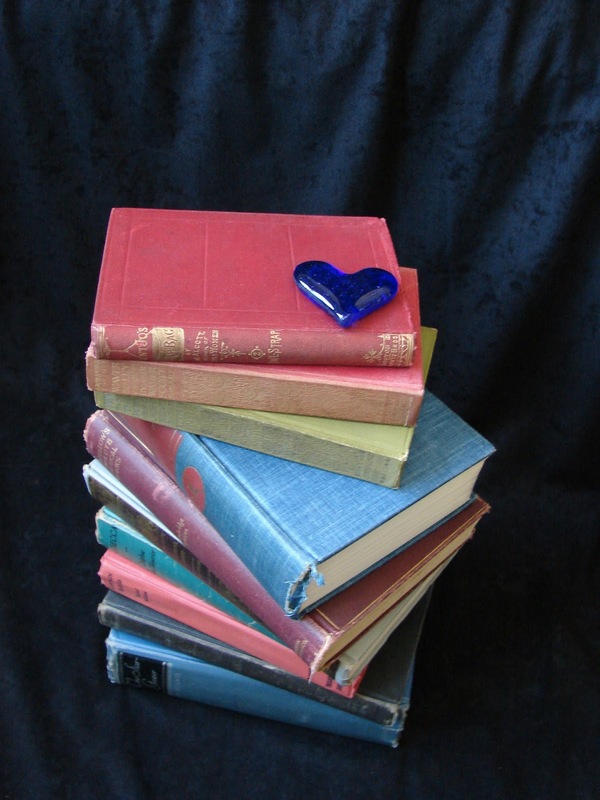 Godin doesn’t predict that paper books will disappear entirely, but that the infrastructure surrounding them will, including bookshelves, bookstores, and libraries. Or at least, libraries as we know them. Have you heard about the nation’s first “bookless library,” set to open in San Antonio, TX, in the fall (thanks Hannah!)? No books. Just desktops, laptops, and e-readers for checkout, as well as remote-access materials. I mean, don’t get me wrong. The really important things are that people keep reading, that one idea keeps leading to another, and that stories keep teaching us how to live. Those things can happen just as well on electronic devices as on paper. I have a Kindle, and I like that it allows me to keep one-glance track of all my highlights and notes and even share those with others on the Internet. To think that someday I might have to tell my kids a fictional story about a magical place where endless shelves of paper books sat waiting to be thumbed through, perused, checked out, brought home with you for a glorious three weeks. Not just to read. To admire, carry around, smell. They have histories. They start conversations. Sometimes they even start relationships. As you’re putting one back, another catches your eye. And you realize you’ll be spending the rest of your life reading. So many books, so little time. Well, here’s one library that’s not going anywhere. 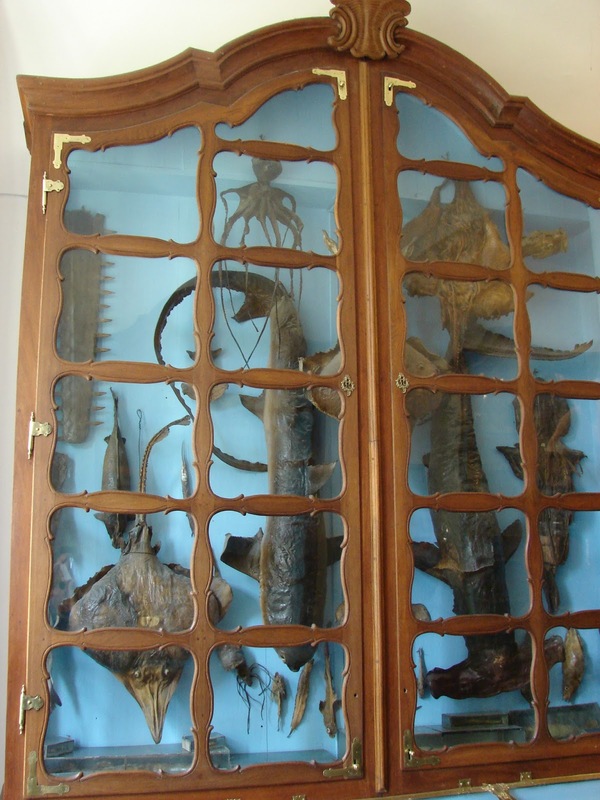 Someday, I can imagine giving tours of my curiosity cabinet like a museum docent. 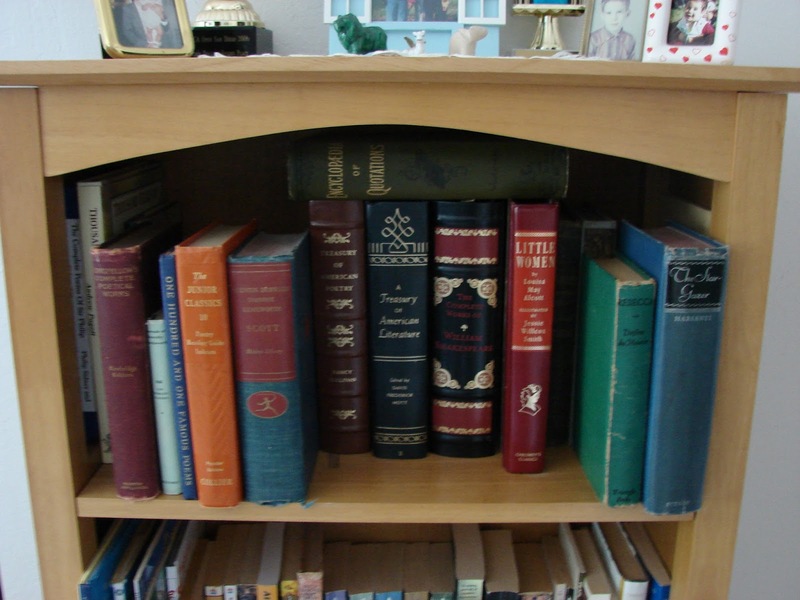 When bookshelves, bookstores, and libraries have gone out of fashion, I’ll take down my old books and let people smell them, sneeze on the dust. This one was my great-grandfather’s. I can see you doing that too. 🙂 And I’d take a tour of your library.